Compact Camera Control Box accessory brings power and connectivity to match and maximize infinite multi-camera shooting possibilities. Equipped for comprehensive remote camera control, image file management and precision video sync, each Camera-and-Box pair is connected with your PC to open new realms of movie imagination. camera settings and shooting modes and get capture control for both still images and movies. Choose operation of individual or multiple cameras to change settings. Since an IP address can be assigned to each Camera Control Box unit, you can control cameras located in remote areas. The wired LAN connection lets you smoothly transfer image files4 to your PC for viewing and management as needed. This greatly enhances the flexibility and accuracy of multi-camera shooting and image handling. Video sync with frame-by-frame precision is available for multi-camera movie shooting. This feature is especially convenient in sophisticated movie production ? for instance, when stitching together video footage shot by multiple cameras into a 360 degree movie. The fast network interface lets you transfer images from the camera card directly to your PC immediately after shooting.4 Assignable camera and file naming makes data management simple, even for multi-camera shoots, so you can prevent accidental overwriting. Camera Control Box is designed to be compact - as small as the body of the RX0. This inconspicuous look and size is virtually invisible in many shooting setups, making it ideal for situations where a bulky camera system could be intrusive. 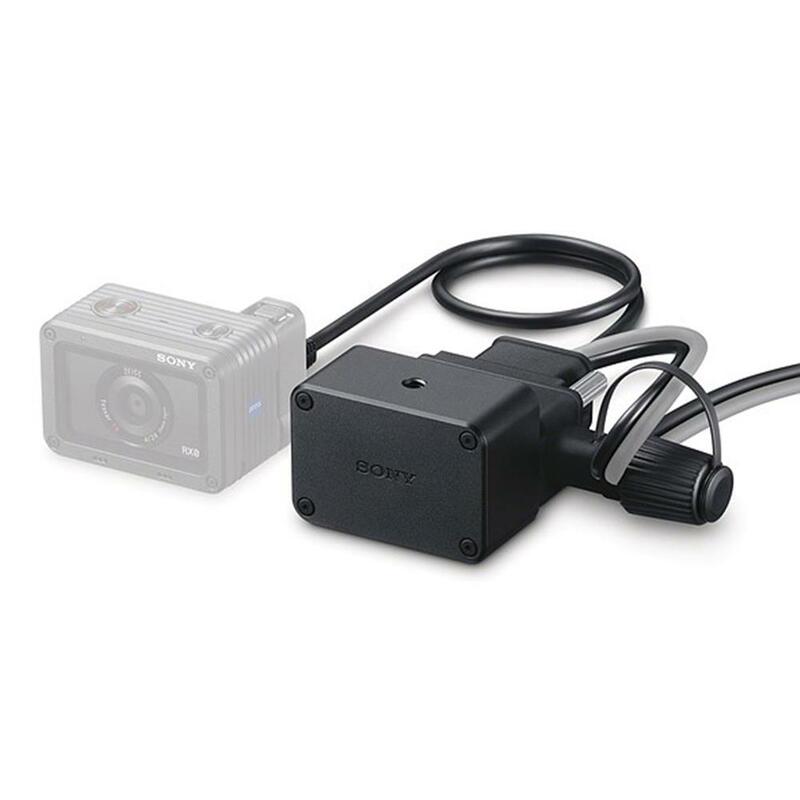 Connect the single USB MULTI between Camera Control Box and your camera for PC control, preview and data transfer. Also use the supplied AC adaptor or a mobile USB battery for convenient power to a Box and linked camera via the same USB MULTI connection. Utilize the supplied cable protector for assured linkage of three required cables - USB MULTI camera connection, Micro USB power supply and Ethernet connector. This enhances the reliability of your entire multi-camera shooting system.